If you are a busy professional or run a business in the city, it can sometimes be difficult to find the time to run a simple errand such as banking a cheque, delivering documents, picking up a meal from a restaurant or even collecting some medicine from a chemist. Thankfully, there are over a dozen errand companies in Nairobi that can run a quick errand for you for a few hundred shillings. 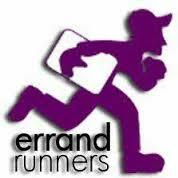 The following is a list of some of the more well-known errand service companies in Nairobi.